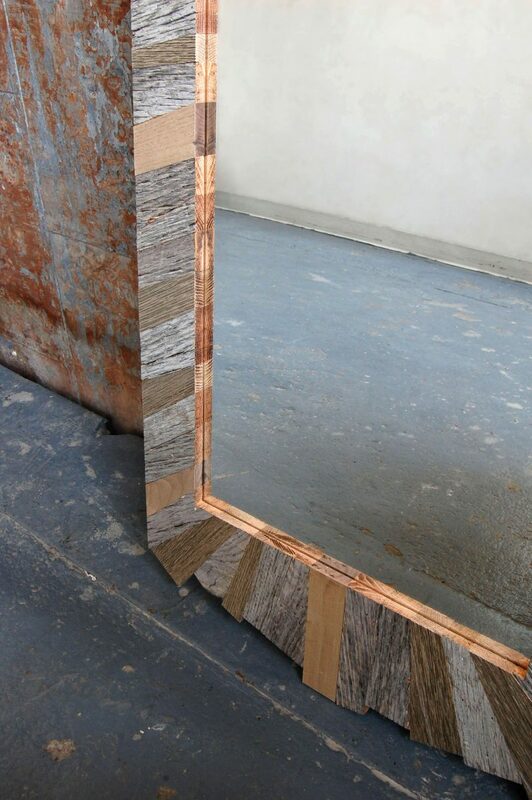 Reclaimed wood wall hanging mirror made with salvaged wood flooring samples, from the Pacquet collection. 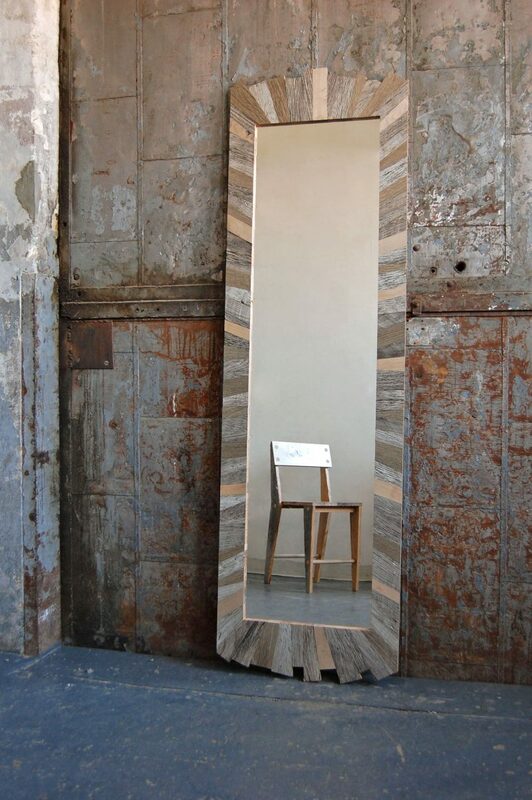 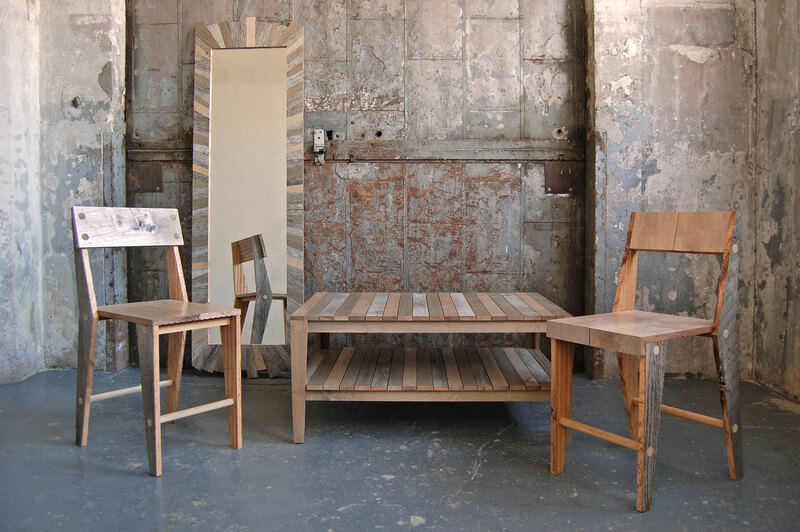 Full height mirror made with reclaimed wood strips from the Parquet series. 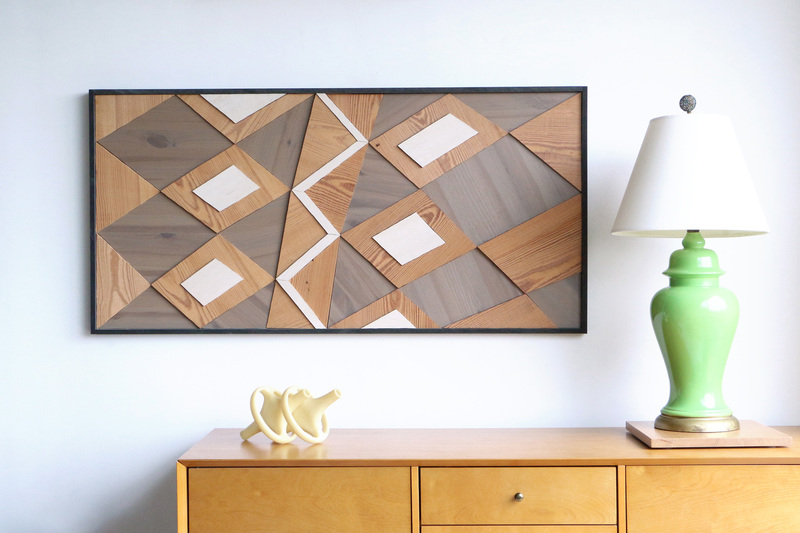 Can be hung vertically and horizontally. 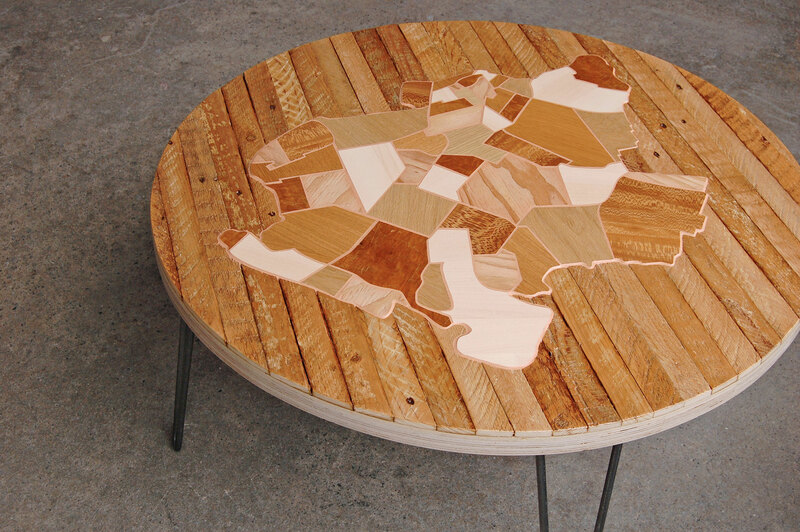 Unique piece made by hand in Brooklyn. 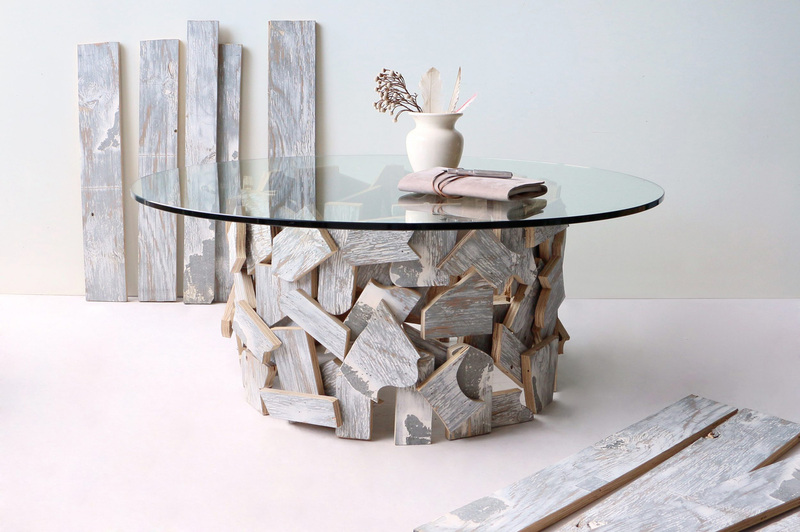 Stamped, signed and dated by the maker.